As one of the founding fathers of Taekwondo in Indiana, Grand Master Yoon brought his 50+ years of experience to Indianapolis more than 40 years ago. Since then, he has promoted more than 3,500 students to Black Belt status. An 9th Degree Black Belt certified by the World Taekwondo Federation, Grand Master Yoon conducts all promotion tests only for KTA students. His goals include continuing the growth of Taekwondo among the young and young at heart. As Indiana State Taekwondo President from 1974-94, Grand Master Yoon promoted and developed Taekwondo in our state to its current Olympic status. In 1990, he was named “Coach of the Year” by the United States Taekwondo Union for leading several outstanding National Champions and World medalists. 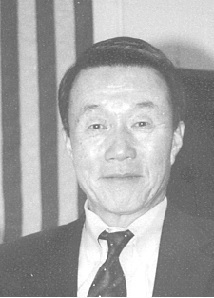 When Indianapolis hosted the Pan American Games in 1987, Grand Master Yoon successfully arranged adding Taekwondo as a new sport in the Games. As Technical Director, he coordinated this event and spectator seating sold out before any other sport on the Pan-AM Games. Head Instructor and 7th Degree Black Belt, Master Donald Cottee brings over 35 years of his competitive experience and instruction to KTA students six days a week. Under the direction of Grand Master Yoon, Master Cottee has not only achieved great success as an instructor, he has also found that same success throughout his years as a national and state competitor. Master Cottee is a national bronze medalist and Indiana State champion and was named the 1980 Indiana AAU Taekwondo athlete of the year. Master Cottee is a graduate of Indiana State University and holds a degree in Life Sciences. He also has been employed by Eli Lilly and Co. for over 35 years. Led by Master Cottee, KTA Northwest has a number of experienced Black Belt instructors, which enables us to give students the individual attention they need. We also provide special classes just for instructors and Black Belts to insure that your instruction is consistent and top-notch!